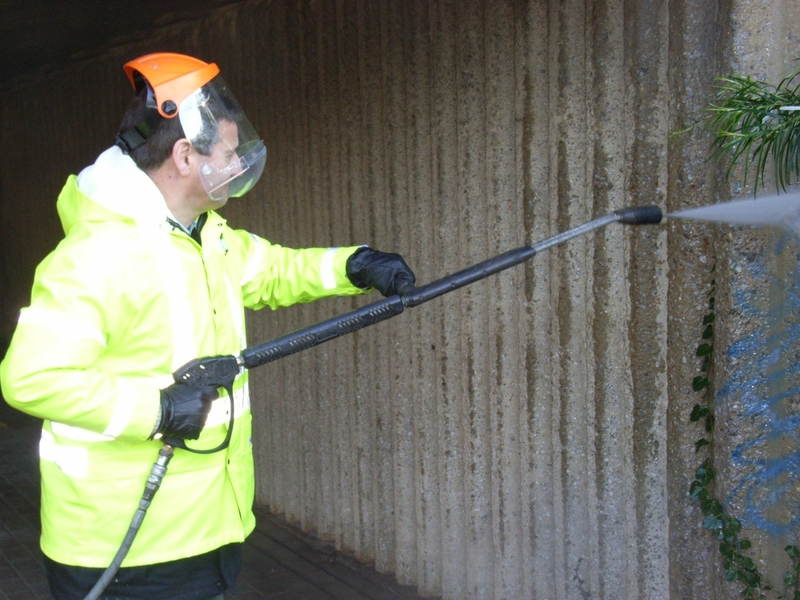 Cllr Douglas McCall when Cabinet member using the Graffiti Busters equipment. Cllr Douglas McCall, the then responsible Cabinet member, and the Liberal Democrats introduced the Graffiti Busters when they ran the Council to tackle the scourge of graffiti. The Council had basically given up on tackling the issue before then. The Lib Dems are concerned that the Council budget proposes to cut this service, and we don’t want to go back to the old days of lots of graffiti not being cleaned off. The Lib Dems are campaigning to stop this cut.